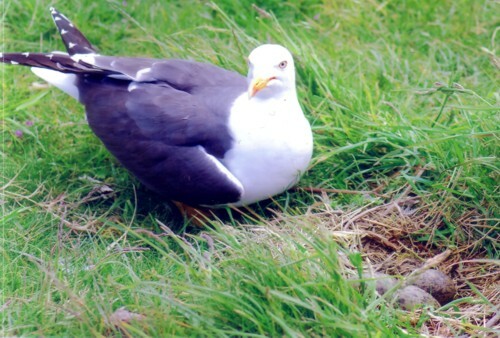 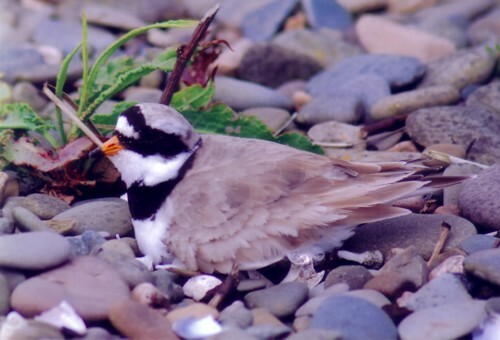 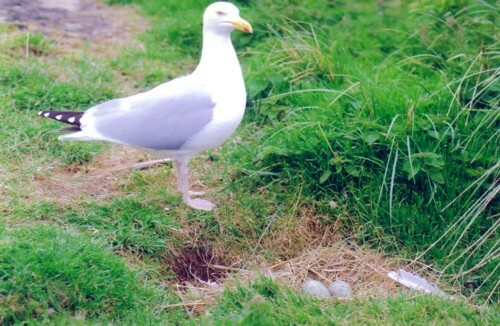 Here are John Clegg’s Walney pictures. 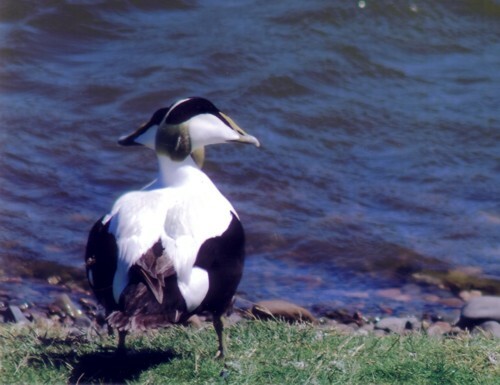 John commented that this is a rare two-billed Eider, perhaps affected by radioactive emissions from the nearby Sellafield nuclear reprocessing plant. 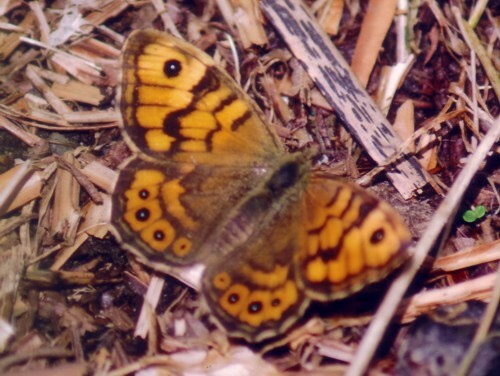 Wall Brown butterfly on a sheltered sunny bank. 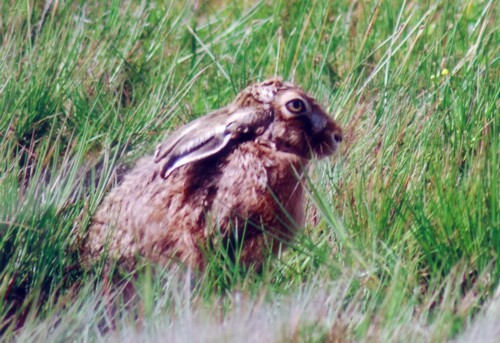 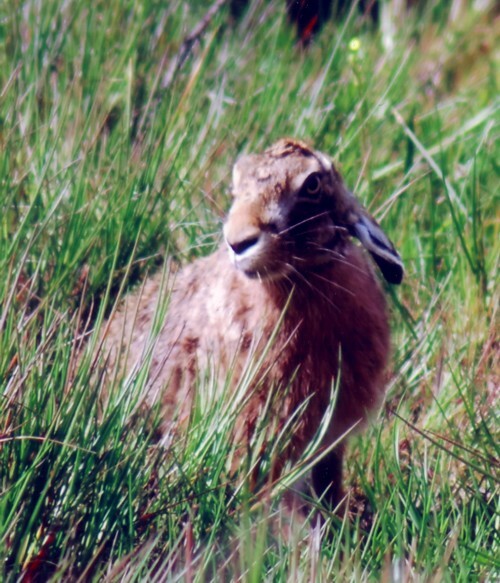 And here are two views of the obliging Brown Hare which posed for us outside one of the hides.